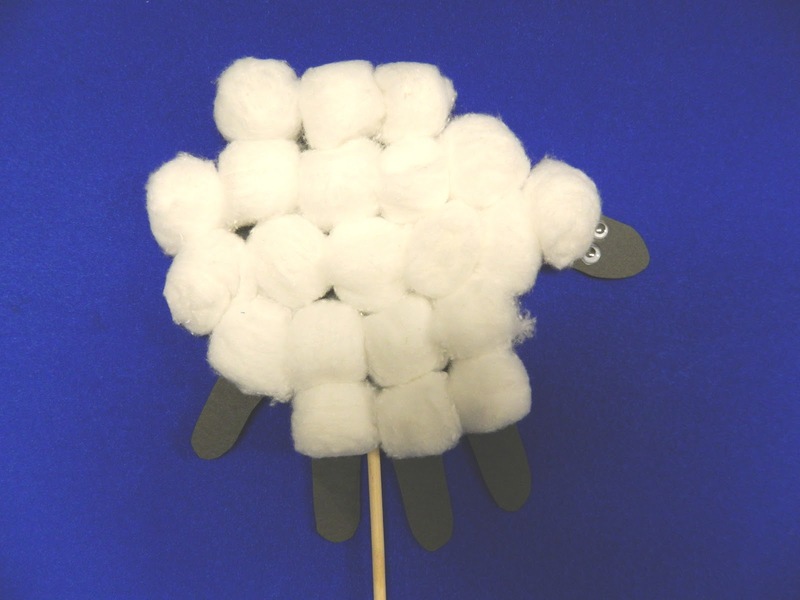 Ram Sam Storytime: Make-and-Take : Sheep! We all hopped on the sheep ba-a-a-a-andwagon today and celebrated those white, wooly creatures. 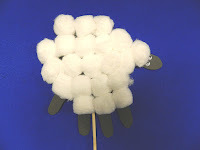 At the end of storytime, everyone was able to take home their own "little lamb-on-a-stick" made from their very own handprint and oodles of cotton balls. 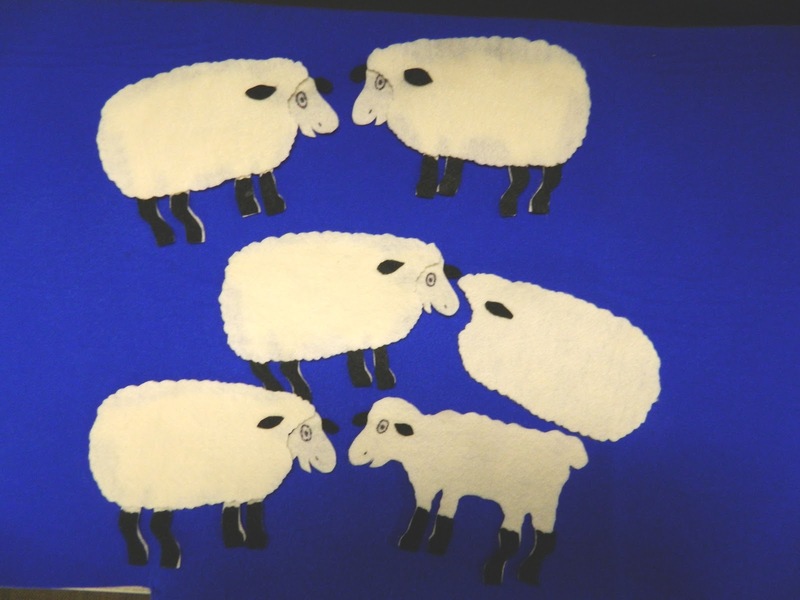 I got to use the FABULOUS sheep (or rather mutton) puppet that I won at an early literacy event earlier this year. Now there are four white, wooly sheep! 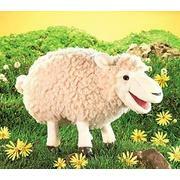 I have the same sheep puppet! I love her expression.